The Box dedicates a week presenting two traditional musical instruments, Santur and Cimbalom, which, even though they play a significant role in Greek traditional music, they are not widely popular. 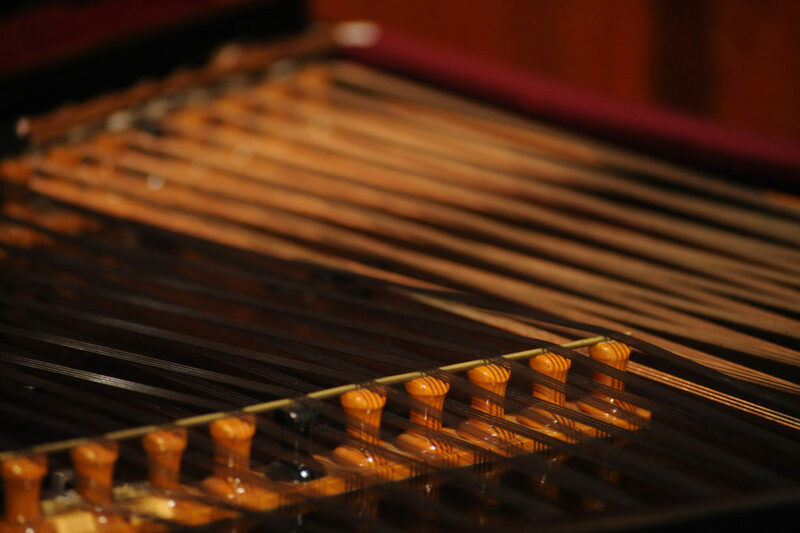 Santur and cimbalom which both belong to the same family of musical instruments, that of the hammered dulcimers, have been baffling researchers, musicologists and musicians alike with how much the same – yet different – they are. What is certain though is that since the end of the 19th century, both instruments become vital parts of the orchestra due to their ability to express melodies in an harmonic and rhythmic way. The main subject of the exhibition hosted at The Box between June 17 and 24, is the work of modern Greek luthiers featuring the work of D. Karaolanis, S. Mamais, P. and G. Vitzilaios and K. Katsogiannos in order to showcase different technical characteristics and approaches used today in the santur and cimbalom manufacture. During the exhibition the public will be able to watch and listen to the differences of each technique and all luthiers will be present at certain dates and times in order to answer all questions. At the same time, in order to represent the instruments’ production outside of the Greek borders, The Box will host two concert cimbaloms which are originated by the Hungarian and Czech schools and constitute characteristic samples of the strong type of manufacturing occurring in Central and Eastern European countries (Hungary, Czech Republic, Moldova, Ukraine, Romania). June 17 – Emmelia Orchestra: On the opening night of the exhibition, Emmelia Orchestra and their special guests take us on a journey through the streets of Izmir and Istanbul featuring songs of Anatolia performed in an acoustic session. Folklore Romani music from Hungary, Romania and Russia meets the Balkans, the Bosphorus and the cosmopolitan harbours of the East, mixing musical structures and paths with galloping strings, various vibrant rhythms and rich modern melodies creating a new exploding musical fusion… Key figure of the whole ensemble, the lost, legendary violinist Jovanicas.